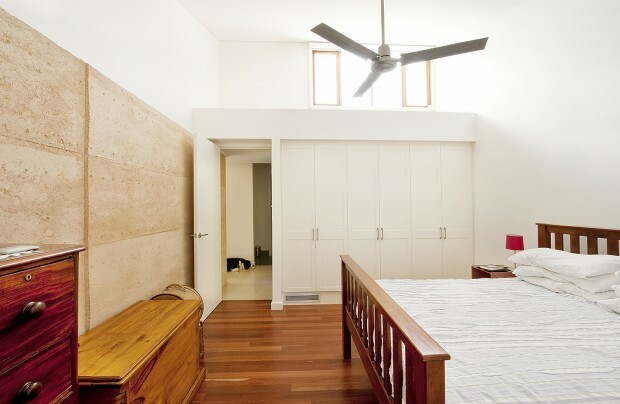 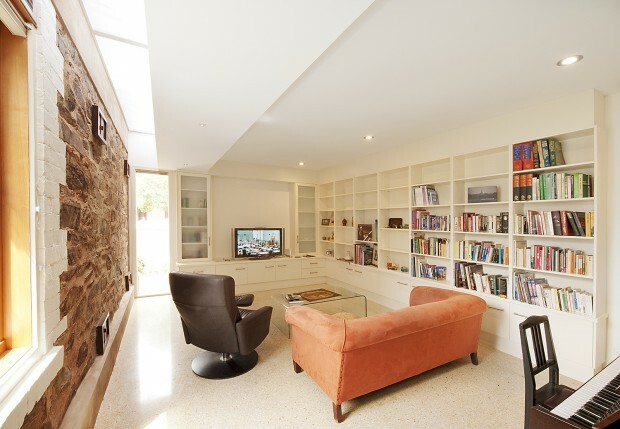 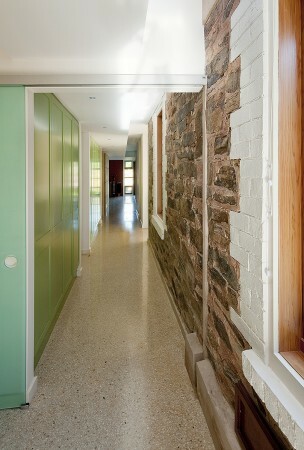 Crumbling bluestone walls are given a second life through innovative re-use. 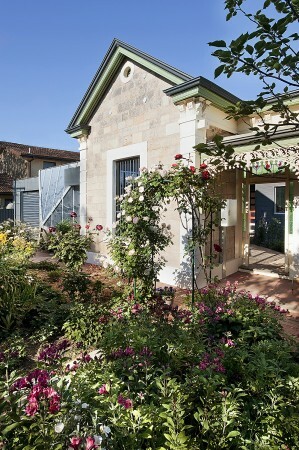 Entry to Parkside House is accessed through a courtyard created by the reuse of the perimeter blue stone walls of the original villa. 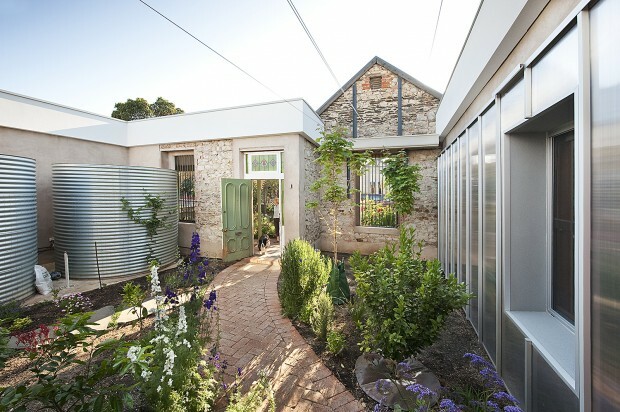 The structurally unsound internal walls and roof were demolished to create a private and sun filled courtyard with the new accommodation wrapped around. 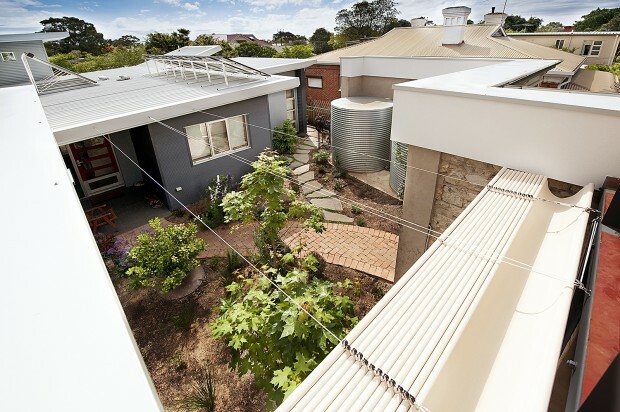 The new house boasts ample winter solar access; heavily insulated reverse block veneer construction; stegbar AT2000 double glazed windows; gas boosted solar hot water that also drives the hydronic underfloor heating; a trombe wall that utilises the thermal mass of one of the existing bluestone walls; an underground cool pipe system fed by a ‘climate wizard’ dri-cool evaporative cooler; 60KL of rain water storage; a grey water reuse system; feature internal rammed earth walls; polished concrete floors and LED lighting throughout much of the house.